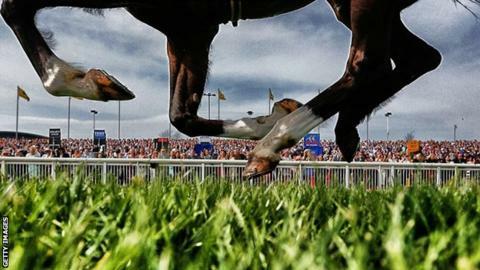 Tired of sticking a pin in the running order and hoping for the best on Grand National day? We have collected together the predictions of some expert form-readers so that you don't have to. The field for Saturday's race has been reduced to 39 following the withdrawal of O'Faolains Boy. Very well handicapped, The Last Samuri was very impressive when winning at Doncaster last time. Has enjoyed a perfect preparation. Everything has gone right for The Last Samuri this season - he looks a really progressive stayer with a nice weight. Raced too keenly last year when he hadn't raced since the previous November, Shutthefrontdoor is a year older, had a run, and boasts a top jockey/trainer/owner combination. It is a big ask to follow Red Rum by winning back-to-back Grand Nationals, but Many Clouds fits the bill. Holywell is quirky but talented. Goonyella has always looked an ideal National horse. While he was a shade disappointing in the Becher Chase, he could be an entirely different proposition over the longer trip with the ground turning in his favour. A class horse, who is well in at the weights and looked back to his best last time. Same sire as 2012 winner Neptune Collonges. The Druids Nephew was going like a winner when slipping late last year. His recent run at Doncaster was the perfect preparation. I was very impressed with The Last Samuri's win last time at Doncaster. The ground should be ideal for him and stable confidence couldn't be higher. Winning two Grand Nationals isn't the done thing, but Many Clouds is cut from a different cloth. Given a chance by the handicapper, he proved last year he can carry the weight and loved the place. With rain forecast, Goonyella will be one of the few that would handle testing conditions well. Many Clouds was the classiest National winner I have seen in long time, and keeps showing how good he is. Trained for the race all season, Morning Assembly has the right balance of sound jumping, stamina and a touch of class.